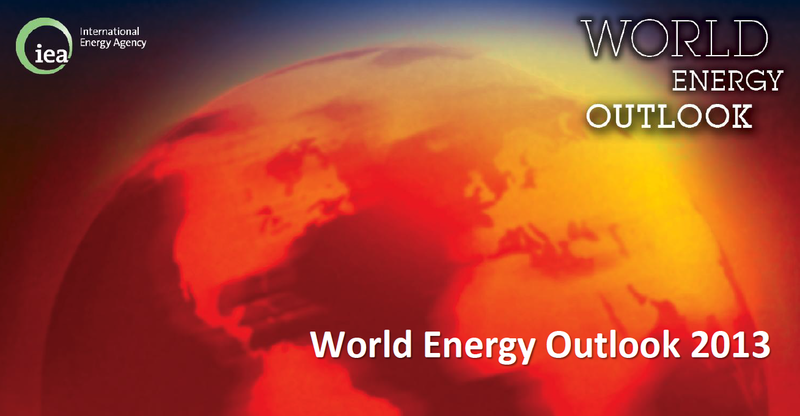 Yesterday, the International Energy Agency released its highly-anticipated World Energy Outlook 2013. As expected in my previous blogpost, the report heralds the medium-term end of the US shale gas boom but also serves as a warning that continuing with business-as-usual energy policies will put us on a path to devastating climate change. But first things first: In the IEA’s central scenario, global energy demand increases by one third from 2011 to 2035. This growth is mainly driven by increasing demand from emerging economies in Asia (particularly China and India). While a considerable amount of the growth will come from renewables, we will still be locked in a fossil world, with fossil fuels still accounting for 76% of the global energy mix in 2035. As just said, the share of renewables in total power generation continues to grow, rising from 20% in 2011 to 31% in 2035 and supplying nearly half of the growth in global electricity generation. Wind becomes competitive in a growing number of regions and solar PV is now being rapidly deployed thanks to falling costs. While energy demand increases on a global scale, demand for oil in OECD countries is expected to decline at an accelerated rate due to efficiency gains and fuel switching. Speaking of energy efficiency, the IEA also notes that its potential is still far from exhausted as two thirds (!) of the economic potential of energy efficiency is set to remain untapped in the central scenario. The IEA also clearly states that the world is not on the cusp of a new era of oil abundance and expects steadily rising oil prices. As Brent crude oil has averaged $110 per barrel in real terms since 2011, we are seeing “a sustained period of high oil prices that is without parallel in history”. Conventional crude output from existing fields is also set to fall by more than 40 m barrels/day by 2035. Moreover, by stating that after the mid-2020s the US will again lose its ground to the Middle East, the IEA essentially silences the US shale gas boom. In this regard, the IEA also doubts that any other country will replicate the US shale gas experience due to uncertainty over the quality of resources, the costs of production and public acceptance. Finally, from a European perspective, natural gas price and electricity price differentials are expected to narrow, which should release competitive pressure on European industries. And from a global perspective, it should also be mentioned that the IEA notes that 1.3 bn people still lack electricity and 2.6 bn still lack clean cooking facilities. As indicated above, the IEA’s central scenario is essentially a continuation of business-as-usual policies in which fossil fuels continue to meet a dominant share of global energy demand. While the declining importance of US shale gas is a good sign, the IEA unfortunately expects the Middle East to regain and strengthen its position at the centre of the longer-term oil outlook. Moreover, the IEA also reminds us that “fossil-fuel subsidies continue to distort energy markets” as these increased to $544 bn in 2012 compared to renewable energy subsidies of only $101 bn. While renewable energy subsidies are expected to double to $220 bn in 2035, this still won’t even amount to half of current fossil fuel subsidies! In the IEA’s central scenario, our planet is fucked (actually, we are fucked). Because of climate change. Because the share of fossil fuels only falls from 82% in 2011 to 76% in 2035 and coal remains the leading source of electricity generation globally. And because unconventional oil drives oil supply from 89 to 101 m barrels per day. A look at Brazil (the report’s special focus country) shows us that most of its oil production will come from highly-complex, capital-intensive and environmentally hazardous deepwater developments. Anyone remembering the Deepwater Horizon oil spill in the Gulf of Mexico? As the energy sector accounts for two thirds of global greenhouse gas emissions, this unambitious, business-as-usual energy policy leaves us on the path to a 3.6°C average temperature increase in the course of this century as most of our carbon budget for the 2°C-target would be spent by 2035. This is well above the level at which we can avoid dangerous climate change, setting the stage for a world that is beyond our imagination and control. While there will be progress with regards to the promotion of renewable energy and energy efficiency, this progress is insufficient to meet our climate change goals. First of all, it is clear that we need an international climate change agreement to “ensure that energy-intensive industries in countries that act decisively to limit greenhouse-gas emissions do not face unequal competition from countries that fail to do so”. In addition, it is time to end fossil fuels subsidies and shift these subsidies to renewable energy and energy efficiency. As already heard, two thirds of the economic potential of energy efficiency is even still untapped in the IEA’s central scenario! 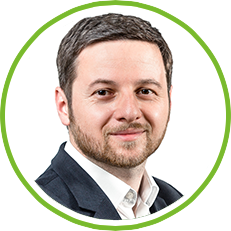 So, it is clear that governments need to go much further than their already announced plans to improve energy efficiency, support renewables, reduce fossil fuel subsidies and put a price on carbon, as these actions are already included in the IEA’s central scenario where CO2 emissions still rise by 20%. To sum it up, while there are positive and negative messages in the IEA’s World Energy Outlook 2013, it’s overall message is that we’re deemed to fail if we continue with its fossil fuel driven business-as-usual scenario. And while the IEA proposes some good policy recommendations, we clearly have to go beyond these proposals on an international, national, regional and personal level if we want to avoid dangerous climate change as the fossil fuel industry will clearly see these numbers as a mandate to deplete the planet of all it’s fossil fuel reserves and burn them into the air. A great analysis of the IEA’s World Energy Outlook and the spin it got by the media was written by Georg Guensberg: The Art of Reframing the Energy Challenge. Note: The charts were taken from the IEA’s presentation that accompanied the report’s launch.